Transcribing Everything is the Key! Dear Myrtle’s Finally Getting organized Week #3 mentions the importance of transcribing your records. I’m also photographing and transcribing any memorabilia that is important to me. In the photograph above you see my Wedding rings and diamond. The original wedding band is too small for me to wear. 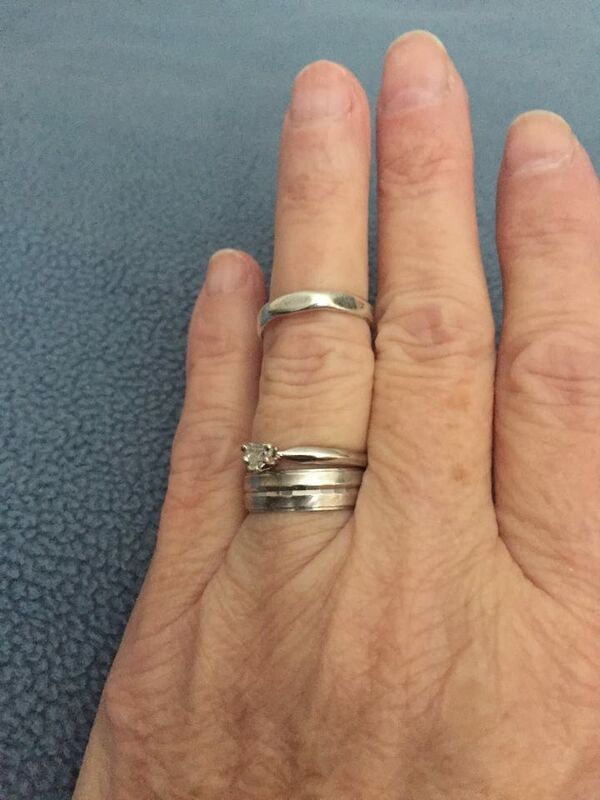 It was a handcrafted wedding band made out of silver in the hammered look by my roommate at the time, (I wish I could remember her name,) Inside is inscribed “78 JS MB.” In 1978 June Stearns married Michael Butka. Would my descendant save a silver ring without knowing the history behind it? Maybe not. Most wedding bands are gold or platinum. My other wedding band is not inscribed. It was a 10th Anniversary (1988) gift from my husband, Michael Daniel Butka. It is a Platinum band with the hammered look in the center. I did not wear diamonds at that time in my life. My work made it awkward to wear raised jewelry with the rubber gloves. I wanted to maintain the integrity of the gloves for my nursing duties. The heart shaped diamond was a gift from my husband in November 2015. He felt I deserved a diamond after all these years. I told him I rather have a laptop. I got brought. I love my ring because he wanted to give it to me. I never thought I would really care about a diamond. Michael Daniel Butka and June Lee Stearns were married 29 April 1978 at a Justice of Peace in Kittery, York, Maine. Our attendants were Michael’s brother, Stephen Butka and my sister, Marjorie Rae Stearns-Stevenson. We had our reception at our apartment on Sagamore Court, Portsmouth, Rockingham, New Hampshire. Our family was in attendance with a pot luck meal, fountain style homemade wedding cake by my sister, Vickie Mae Stearns Levesque, standing on a fountain. The wedding will be blog about in April on our 38th anniversary. I will also transcribe my marriage record at that time. I choose today to write about my wedding rings for a special reason. My first date with my husband was on 23 Jan 1978. 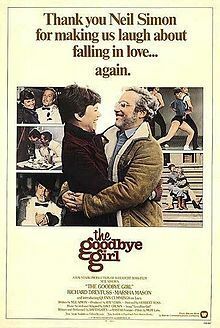 We went to the movie “The Goodbye Girl” and dinner at the Asia Restaurant on Dover Point Road, Dover New Hampshire. It looks like it is no longer at that location. Mike and I will need to take a ride and check it out on his day off.